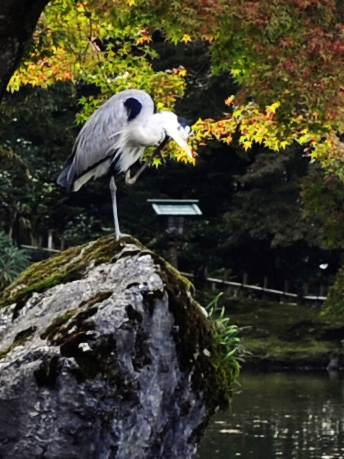 I encountered a heron who took a rest on the rock in the pond when I visited Kenroku-en with guests two weeks ago. I had never seen a heron in the park and was a bit surprised to see that he was unmoved at all by tourists taking photos of him. He probably knew that no one could reach there. It was rainy and a bit cold. I spent most of time at home, playing the piano. We went out in the late afternoon for shopping. 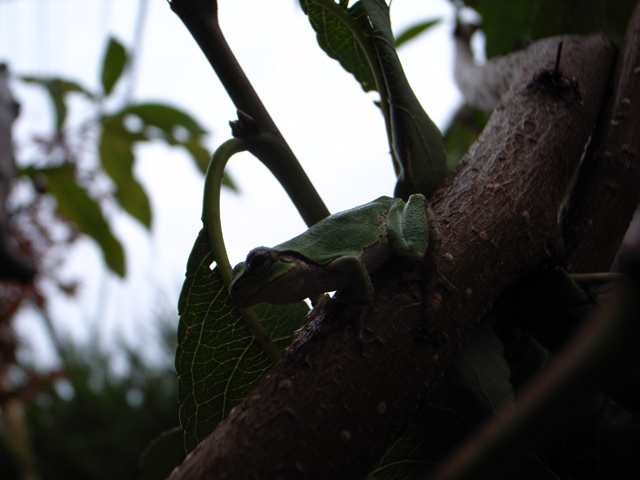 On my way to a bookshop, I spotted two frogs climbing a tree. It was probably still warm to them. The air was fresh. 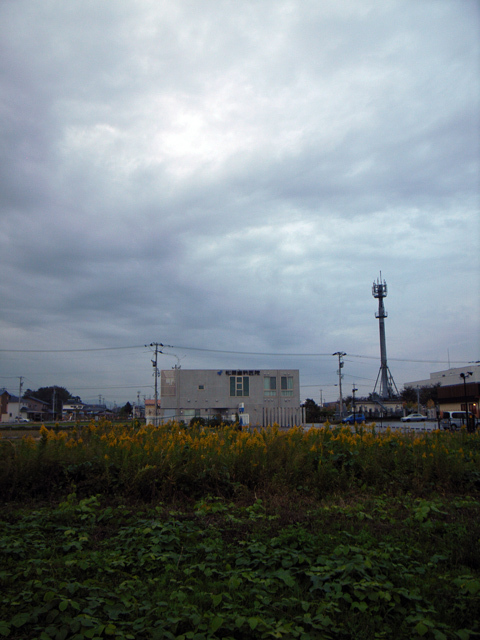 We took a path in countryside to the supermarket. 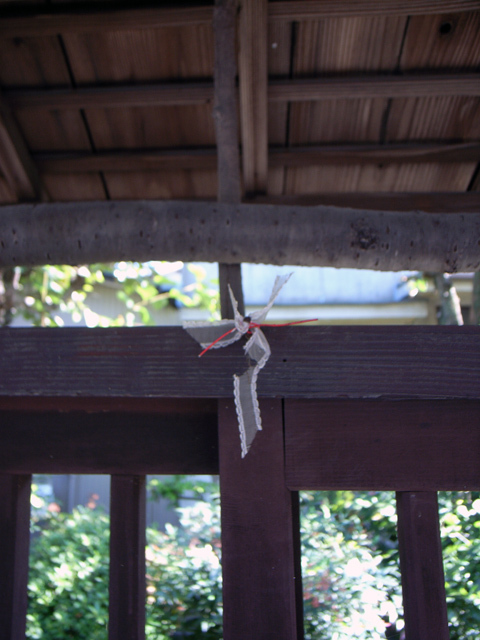 I spent a day in Nagoya, my hometown. The prime aim was to carry back a gas fan-heater to home, which was collected instantly. The second, not so important, aim was to take a 8mm cinema camera, which was easily found, too. It was so bright and sunny. We went out for walk. Some of our neighbors decorated her gate with a ribbon. It looked cute. I did not know why she had done it. We also went to shopping and I found an interesting book at a cafe, where we ate our late lunch. 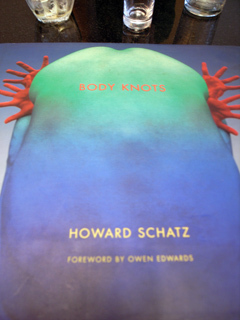 The book contains lots of wonderful photos taken by Howard Schatz. The book is titled: Body Knots. I am sure that you will find it interesting, too. Should buy a copy.